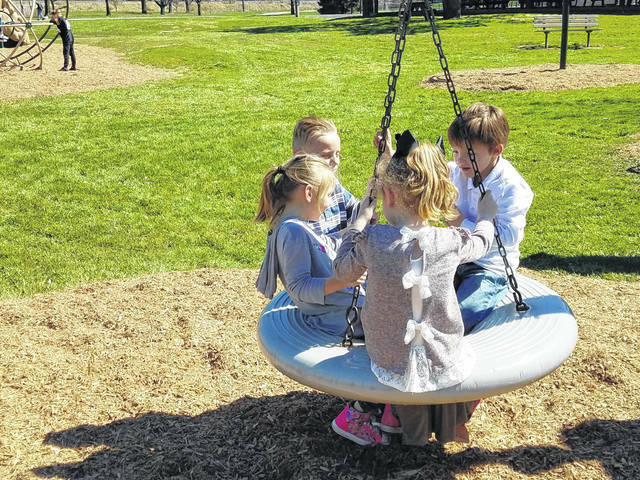 Several kids took advantage of the nice weather on Tuesday after school. Jaycee, Landon, Ryah and Ryatt enjoyed their time on the equipment at Eyman Park while temperatures stayed about 65 degrees throughout the afternoon. https://www.recordherald.com/wp-content/uploads/sites/27/2019/04/web1_20190409_153103.jpgSeveral kids took advantage of the nice weather on Tuesday after school. Jaycee, Landon, Ryah and Ryatt enjoyed their time on the equipment at Eyman Park while temperatures stayed about 65 degrees throughout the afternoon.